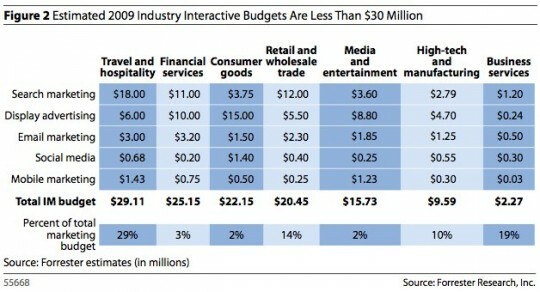 As you can see search marketing got a much greater share of interactive marketing budgets than social media. 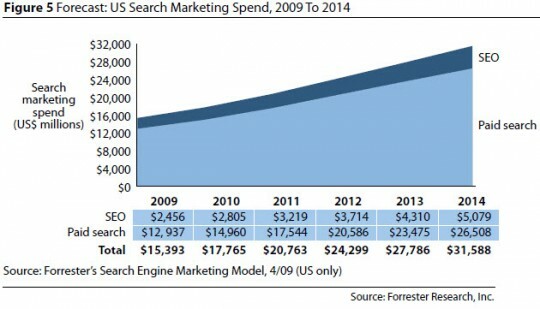 With all the (justifiable) industry focus on social media this year it’s interesting to note that search marketing is still getting the lion’s share of spending. When it comes to interactive media buys it looks like Google and the other search engines still offer marketers the best opportunities online. It is indeed interesting to see that search is holding its own. Reminds my of the initial reluctance of marketers to move any dollars away from channels that have ‘worked’ so well traditionally like broadcast. Search is seeing the same thing happen, now that’s its a proven bet marketers are hesitant to stray. Interesting to see the category breakouts as well, particularly the lower search spend in aeras like consumer goods. Good point Jeff. 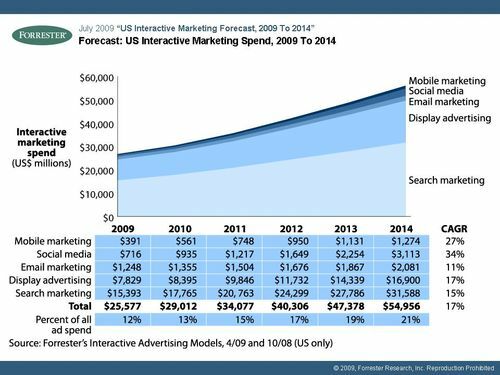 We’ve seen search marketing evolve from the disruptor role to being the big dog (at least in terms of online media). This is good news Jeff. I appreciate your effort in posting this kind of information. Thank you for keeping us informed.